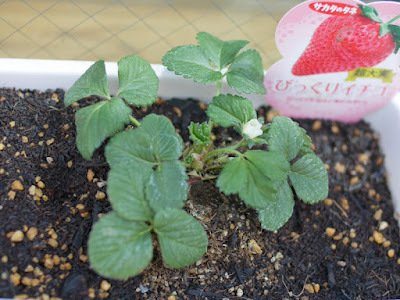 We went to a garden center in Sakata, Yokohama.I bought some herb seedlings.I wonder if it will work this time. 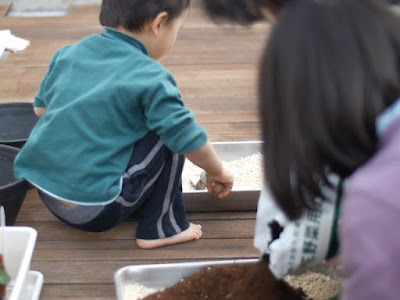 Mix the soil.Prepare to plant seedlings. Kaname likes strawberry. One flower is in bloom.